Prolia is a new drug indicated for the treatment of postmenopausal women with osteoporosis at high risk for fracture (history of osteoporotic fracture, multiple risk factors for fracture, patients who have failed or are intolerant to other available treatments of osteoporosis). In postmenopausal women with osteoporosis, Prolia reduces the incidence of vertebral, nonvertebral fractures and hip fractures. The recommended dose is 60 mg Prolia and administered as a subcutaneous injection once every 6 months in the upper arm, thigh, or abdomen. All patients should receive 1000 mg calcium daily and at least 400 IU vitamin D daily. The Prolia contains the active ingredient Denosumab which inhibits the action and function of osteoclasts, the cells responsible for bone destruction, leading to a reduction in bone loss. It is supported by two large multicenter studies. In a 3-year study in 7808 postmenopausal women, Prolia was shown to reduce the risk of vertebral fracture by 68%, the risk of hip fracture by 40% and non-vertebral fractures by 20%. Positive results were found also in the quality of bone in biopsies. Regarding the safety of the drug studies showed that people taking the drug had no more side effects than those taking placebo. Osteoporosis is a silent disease. Fractures on the other side are not always silent and lead to disabilities. 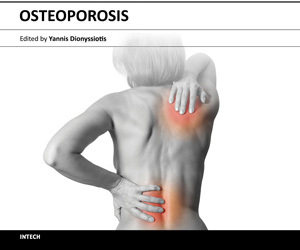 Osteoporosis is damaging through the fractures. The most common occurre in the spine, hips and wrists. The presence of these pathological fractures, i.e. fracture with minor falls or even without injury, is certainly an advanced stage of disease. Therefore it is very likely a woman to ignore suffering from osteoporosis for many years, as if still not broken any bone. We place emphasis on vertebral fractures which are often asymptomatic and cause back pain and kyphosis (hump). The result is that there are other functional and psychological consequences leading to osteoporotic person (usually female) to a vicious cycle of depression. Treatment of osteoporosis focuses on bone only ignores the muscle function and balance elements directly related to the disease, the prevention of falls and fractures. Our site medreha.com from the beginning supported the concept that our goal on this condition (osteoporosis) should be the prevention of fractures. The prevention of fractures could not be made solely with drugs. Prevention of falls is needed! Falls are not reduced with antiosteoporotic drugs and moreover polypharmacy in general (more than 4 drugs) is a risk factor for Falls!